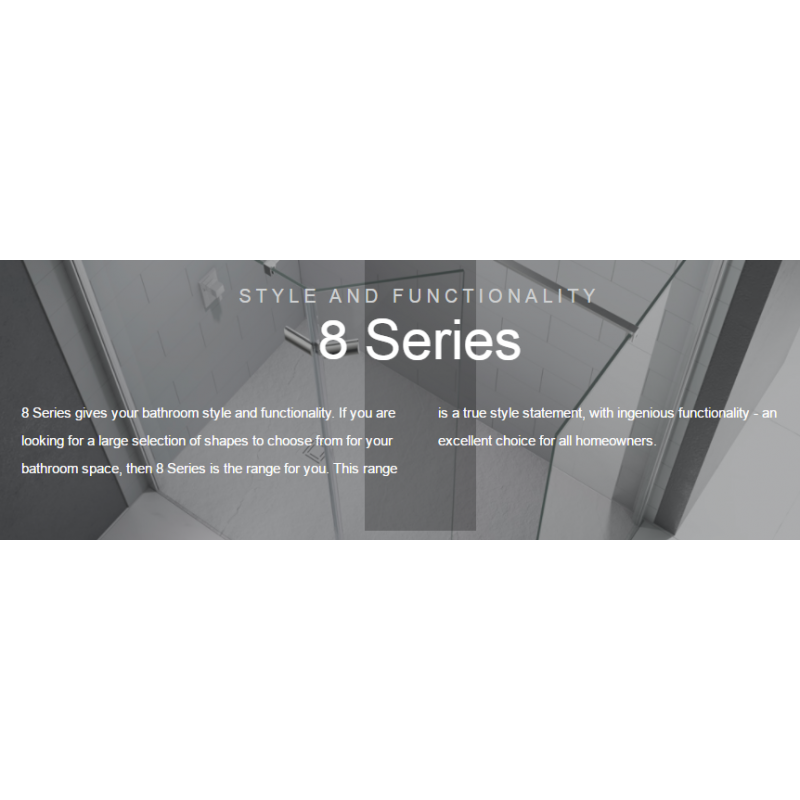 This Merlyn Series 8 shower door is treated with a proprietary hydrophobic coating called mershield, which allows the water to drip off and resists staining with soap and lime. This resistance to build-up makes this Merlyn shower door very easy for you to clean and maintain. Since this shower door is made out of 8 mm toughened glass, it is very resilient and is built to last a long time. This hinged shower door can be installed to open either way, which will allow you to install it regardless of how your bathroom is set up. This shower door's chrome symmetrical handle is easy to clean and adds a classy touch to your decor. This shower door is also designed to close easily, and its double bails ensure this closure.